When re-reading this post before publishing, I noticed a typo – 'blub update' – although this may be more of an apt title! I have been shedding plenty of tears (in my mind, at least) over the bulbs I purchased a few weeks back. This cold weather has really hit the London Vegetable Garden balcony hard. I think that all of my plants out there at the moment must be distant cousins of Bear Grylls! 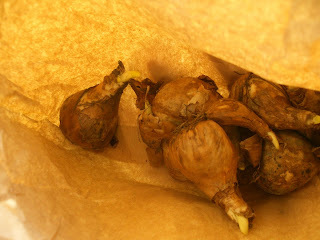 Although they are surviving, there has been no progress in any of my external flower bulbs. I can honestly say, with absolutely no exaggeration, that every time I've been into the bathroom, I have noticed a visible change in the height or shape of these leaves. The bathroom window they live next to is sunny for a large part of the day, and being a bathroom, is also fairly humid at times. I attribute this indoor growth to the warmth, whilst my poor old outdoor bulbs are left outside in these freezing temperatures! I hope to see some change in the outside bulbs soon. After all, it's a lot milder now that the snow has finally gone, and bulbs are notorious for surviving in the ground all year round. 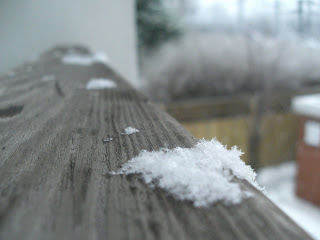 I imagine that when it becomes more spring-like outside, we'll see similar results to the artificial spring inside! Regular followers of the London Vegetable Garden – or indeed, those that have read the previous post – will no doubt be aware that I have turned my hand to water propagation over these winter months. Inspired by the success of my spider plant propagation activities (see the 'before and after' picture immediately below), I took some cuttings from various hedges and set them up in glasses dotted about the flat. I think that these twigs may need extra help in terms of growing roots. The spider plants were always very soft and the plants seemed to form ready-made root balls prior to propagation. 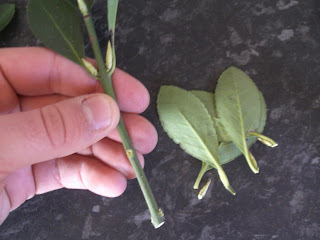 Cutting a twig however is a different kettle of fish altogether – I doubt that these cuttings will root! Nevertheless, it's been interesting to see just how hardy these plants are, needing only water to survive. Let's be honest: growing vegetables in pots, from seed, on a balcony, in January, is a task as impossible as resurrecting Tiger Woods' career. 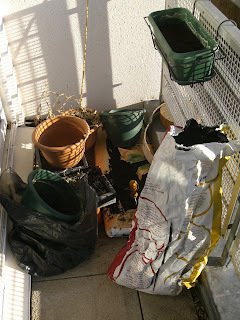 In spite of this however, the London Vegetable Garden balcony need not be a barren space that occasionally houses a full clothes horse! In addition to planting a few daffodil bulbs, as documented in my previous post, I have also turned my gardening attentions indoors, as I attempt the rather unpredictable practice of water propagation. Many of us are still feeling the economic pinch, and several London garden shops continue to charge a pretty penny for certain plants. Taking cuttings from hedgerows and gardens can be an extremely productive way to add to your garden, balcony or windowsill, and is also cost-effective if successful. 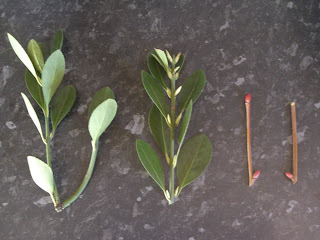 This weekend, I took a couple of 'cuttings' from a nearby hedgerow (hopefully the neighbours weren't looking!) 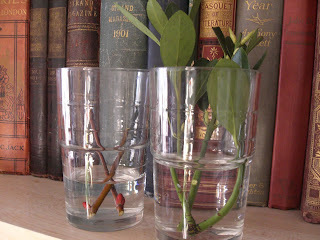 for my very own London Vegetable Garden water propagation experiment! How to: Water Propagation the London Vegetable Garden Way! Finally, you can dip these in rooting hormone and plant in a pot, or alternatively, stand in water, which is what I have chosen to do. 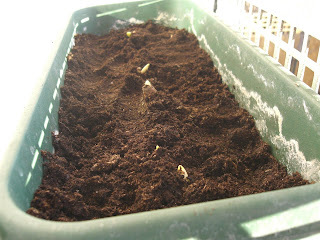 After a few weeks, new roots should start to develop, meaning planting on is likely to be more successful. I've had mixed success with water propagation in the past, with my spider plant experiments achieving a big tick in the 'win' column. 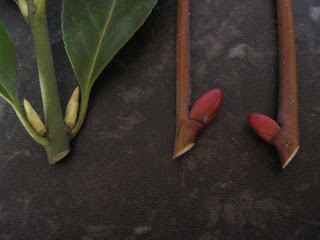 The jury's out on these twigs however – we'll have to wait and see what progress is made over the next few weeks! 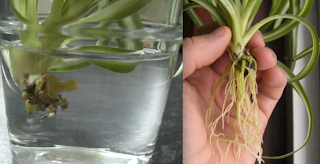 Have you had success with water propagation? Why not leave a comment below, or share your tips with London's new urban gardening community, the London Gardeners' Network. 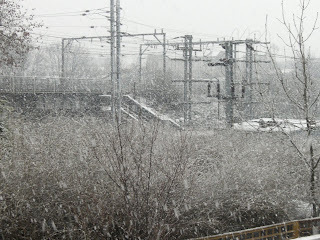 So here we are: January 2010. Inspired by dreams of a better way of life (and hopefully, somewhere with a tiny garden! ), my girlfriend and I are looking at moving from Hackney in the spring / summer time. From a gardening perspective, with everything starting to bloom and get going, this may not be the most ideal time of year to move, but I'm not one to shy away from a challenge, especially if it results in some actual garden / patio space! Domestic affairs aside, I plan to crack on with the London Vegetable Garden project as normal. One of the great benefits of growing in 'crops in pots' (Bob Purnell's book of the same title is an excellent resource) is that mobility is a very real, and useful, feature. When the move does happen (whenever that may be), I'm confident that I'll be able to pack up the London Vegetable Garden and take it with me – how many gardeners can say that! This may mean that I'll have to sacrifice space-demanding plants such as my runner beans this year, but I'm eager to experiment with new vegetables and to apply my learnings from last year this time around. In the meantime, I've carried out my first balcony gardening job of 2010, set in motion by a visit to London's inspiring Columbia Road flower market. This Sunday, I purchased some early flowering daffodil bulbs, requesting 6 bulbs at £1 for 3. I forget which variety they are – the eagle-eyed amongst you can comment when they have grown – but it's nice to be back on the balcony and planting things after some dreary months of inactivity, as well as having a good old tidy up! I've planted these in one of my faithful balcony baskets, which of course, is outside. We're experiencing freezing temperatures in London this week, so I hope that this will not have an adverse effect upon their growth! 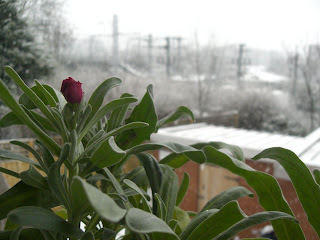 Mind you, these are hardy annuals, so hopefully we'll have something to blog about in a few weeks. Until then, why not tell the London Vegetable Garden community what you're currently up to in the garden? Simply leave a comment on this post, or visit the London Gardeners' Network, to share your January gardening exploits with the rest of us!